Great Start Parent Coalition – A great start for every child! Do you want to get involved with our parent coalition? Children cannot advocate for themselves, that is why we need your voice! 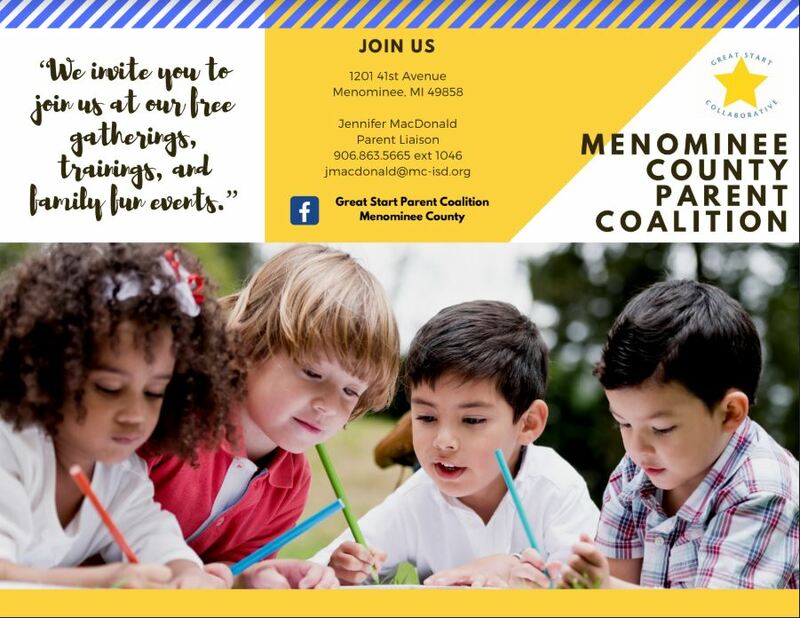 Check out our fabulous Facebook Page: Great Start Parent Coalition Menominee County for more information on what is happening with the parent coalition and how you can get involved! 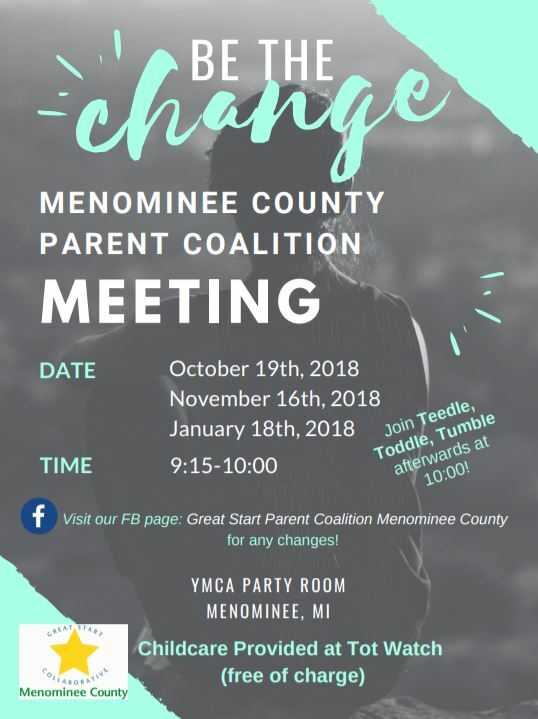 Are you a parent of any children under the age of 12 in Menominee County? As a parent, you are your child’s first and most important teacher. 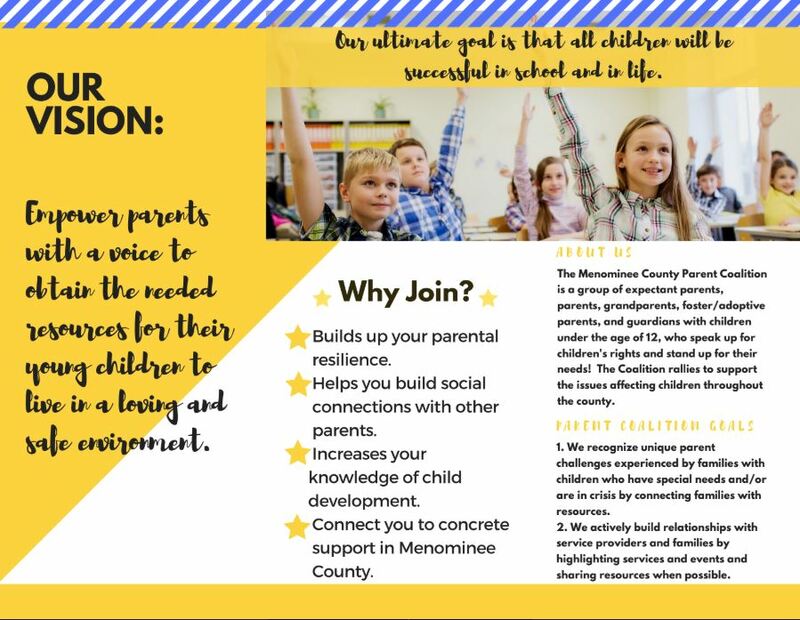 By participating in the Parent Coalition, you become an advocate for your child and all children in our community. One of the primary components of the Great Start initiative is the formation of the Parent Coalition. Increase parent participation in early childhood planning and decision making. Serve as a “voice” for parents and children in our community. Serve as the sounding board for parent members of the Great Start Collaborative. Give parents the opportunity to have fun and make a difference. Investment in early childhood pays off! Be part of the Great Start Parent Coalition and get involved!! !